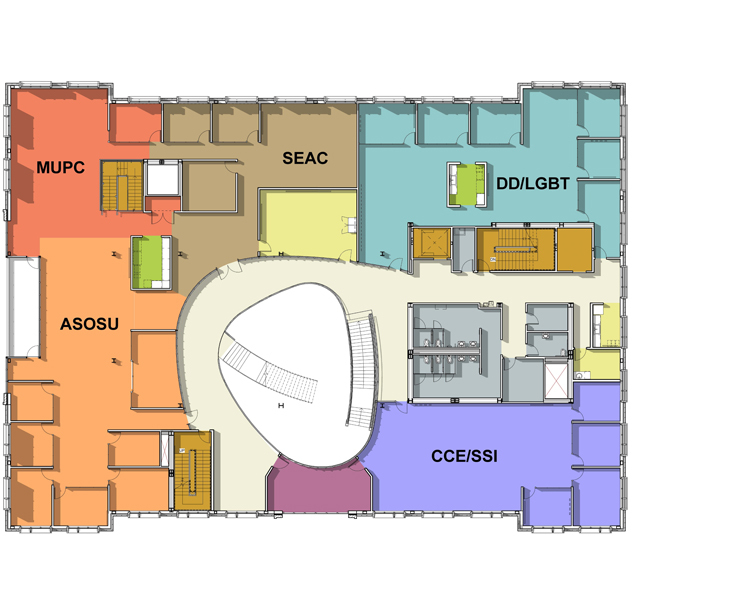 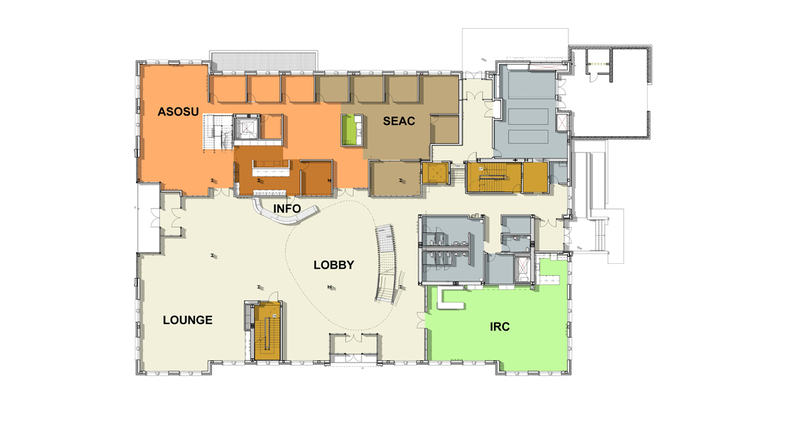 The Student Experience Center (SEC) was conceived to create a highly sustainable central campus hub to serve the student out-of-class experience. 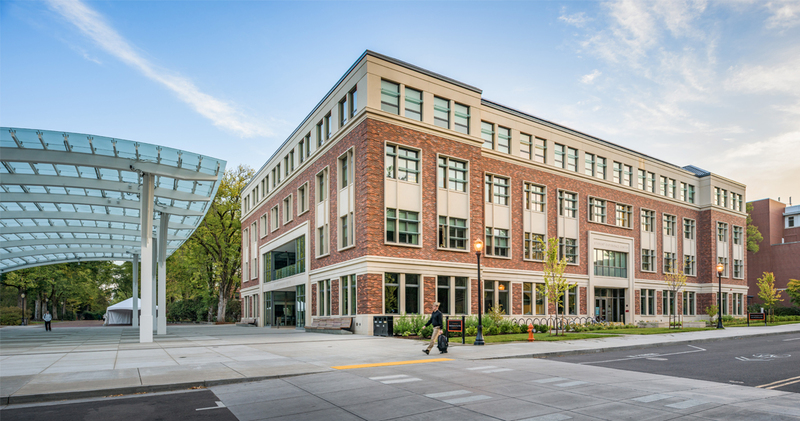 The nearly 90,000 sf student-funded building is located next to the existing Memorial Union in the historic campus core. 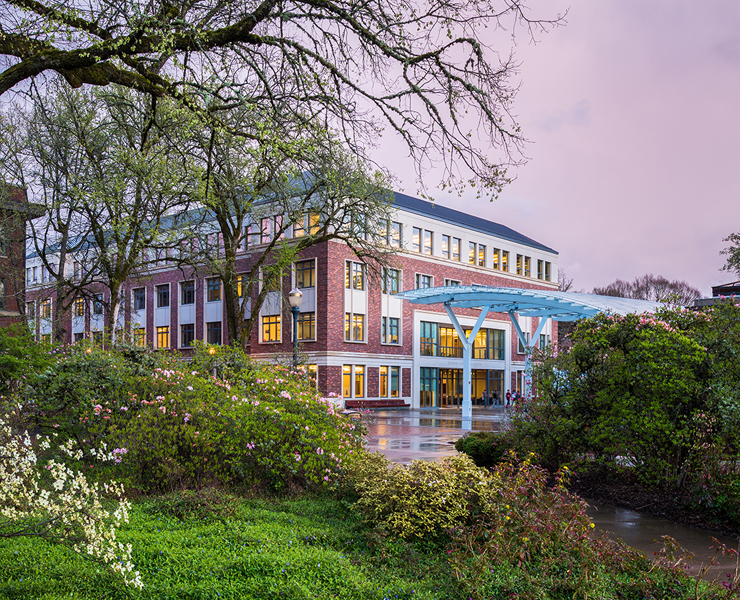 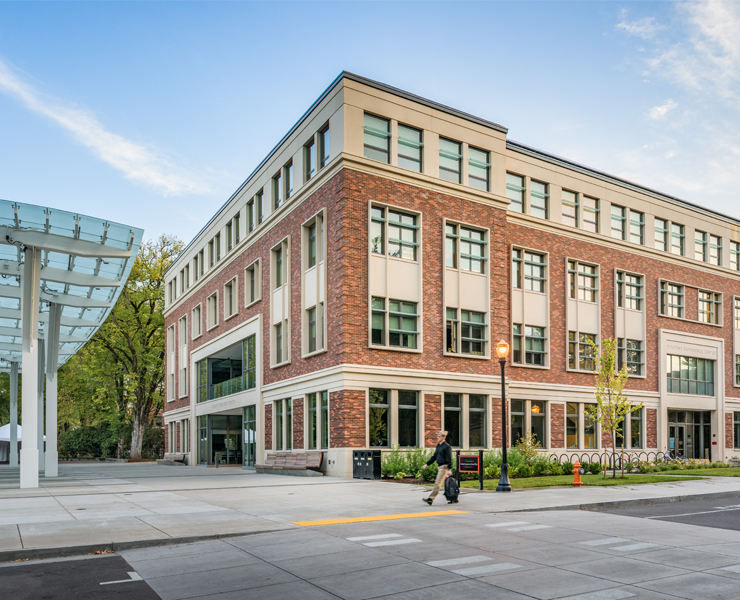 The building fulfills all modern criteria of performance and usability while complementing the historic fabric of the campus. 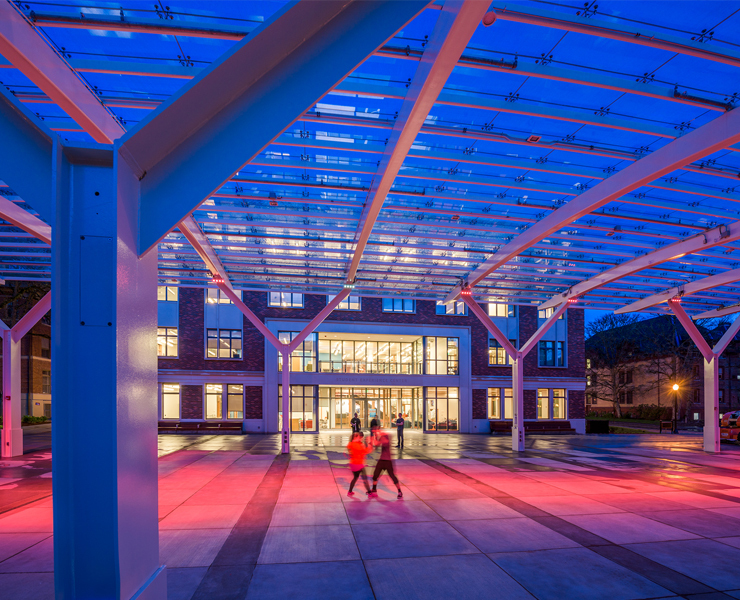 Just outside the building an 8,000 sf curving steel and glass canopy will provide covered outdoor space for campus events and concerts. 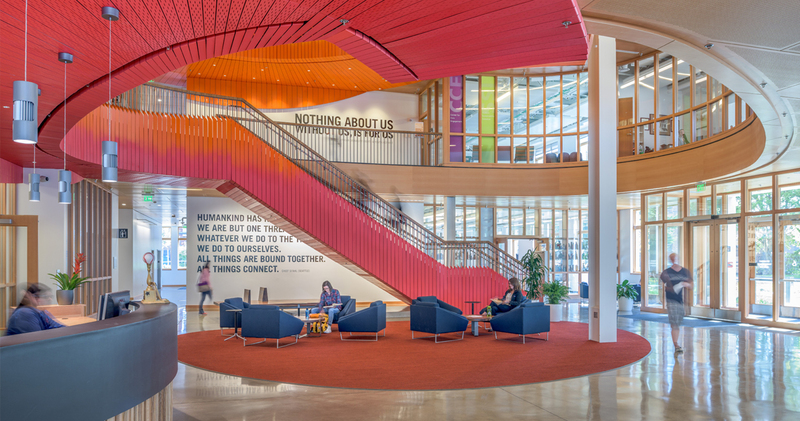 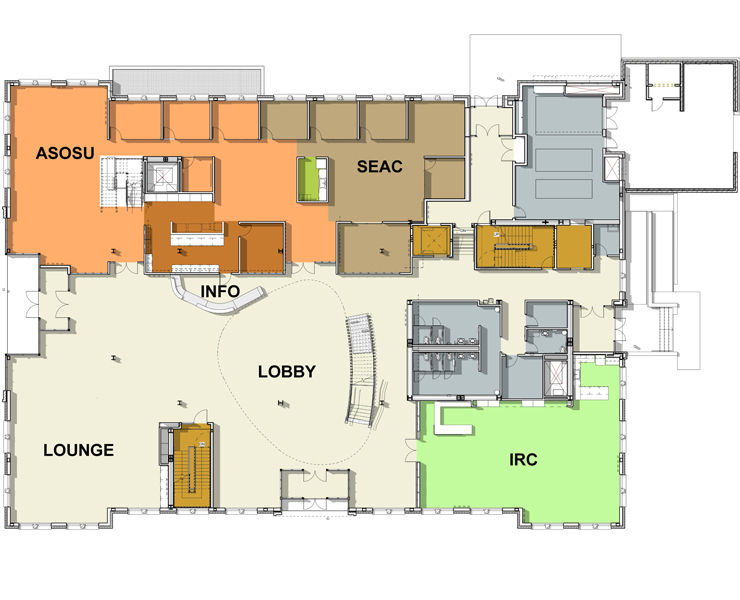 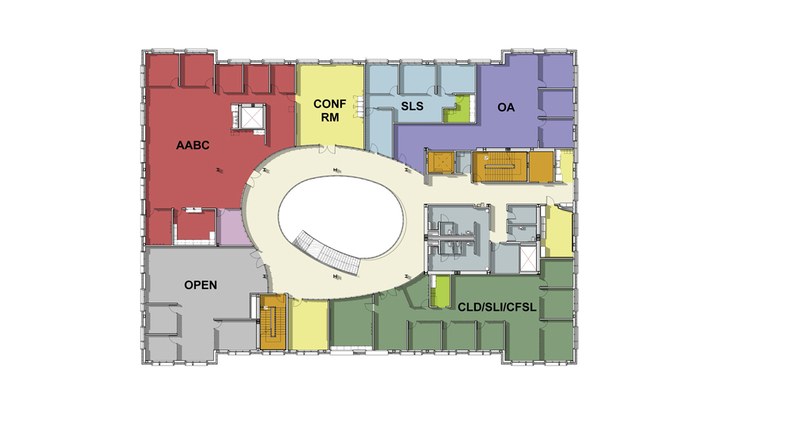 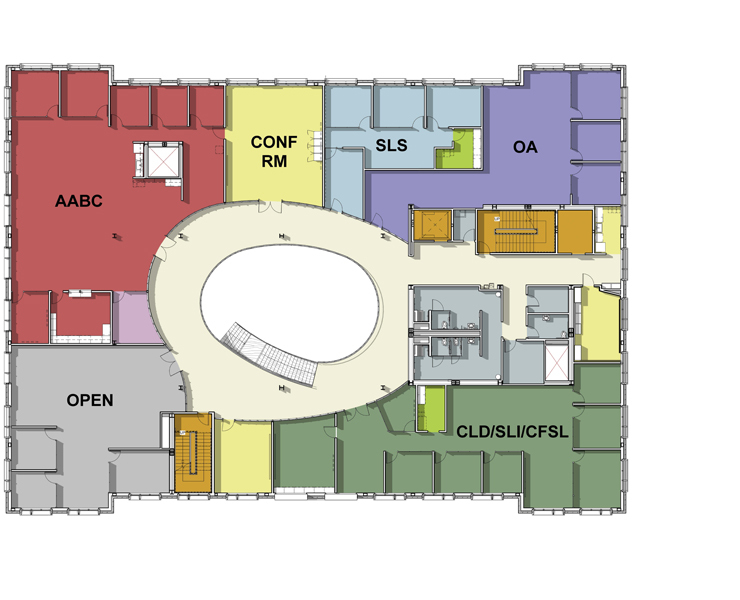 A large lobby and lounge connects vertically to a central three story open stair upon which many student organizations have a visible and transparent address. 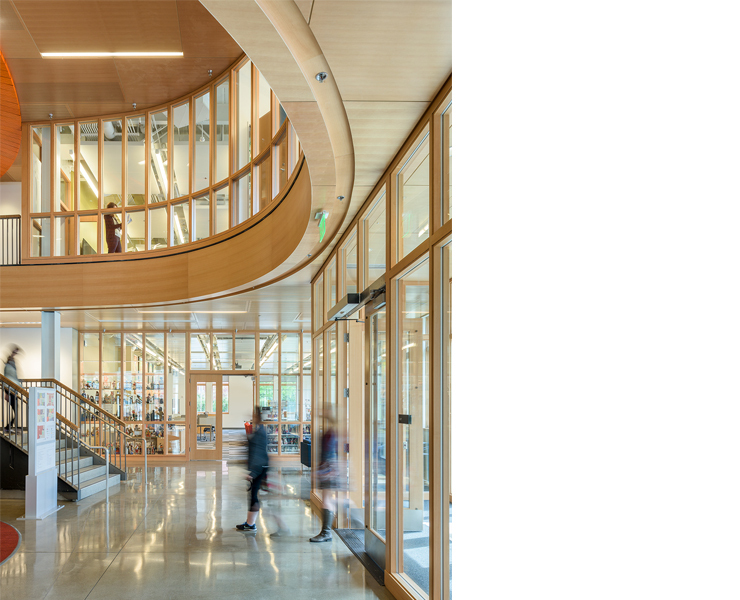 Full height wood framed glass walls provide visibility through the entire building, frame views out to the mountains beyond, and filter daylight deep into each floor. 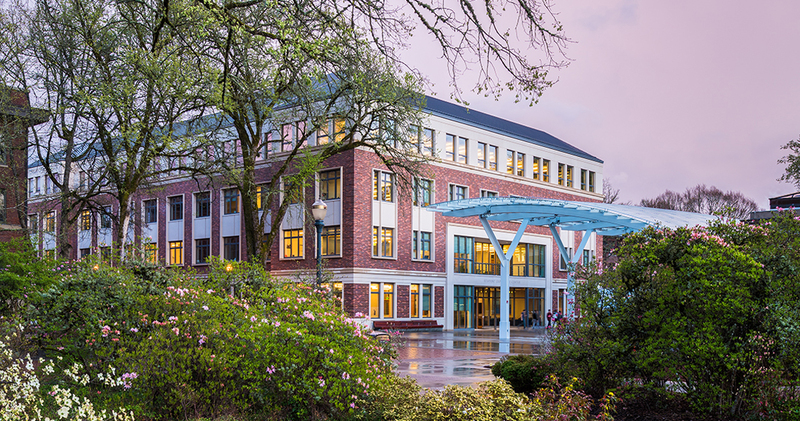 The core student programs include Greek Life, Student Leadership and Involvement, the International Resource Center, and the Student Sustainability Initiative. 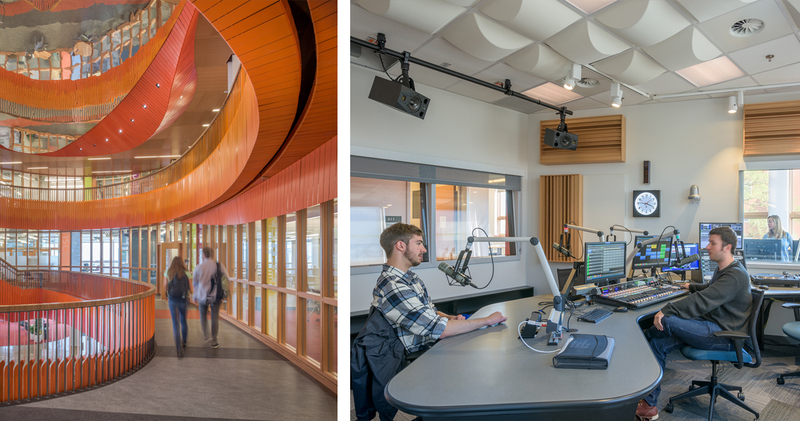 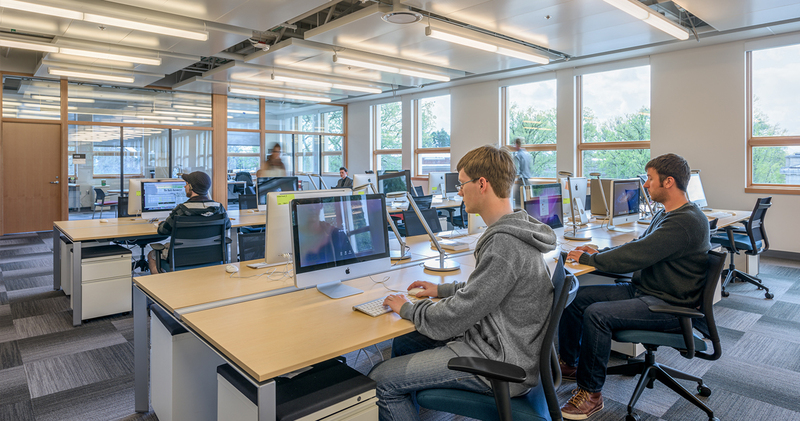 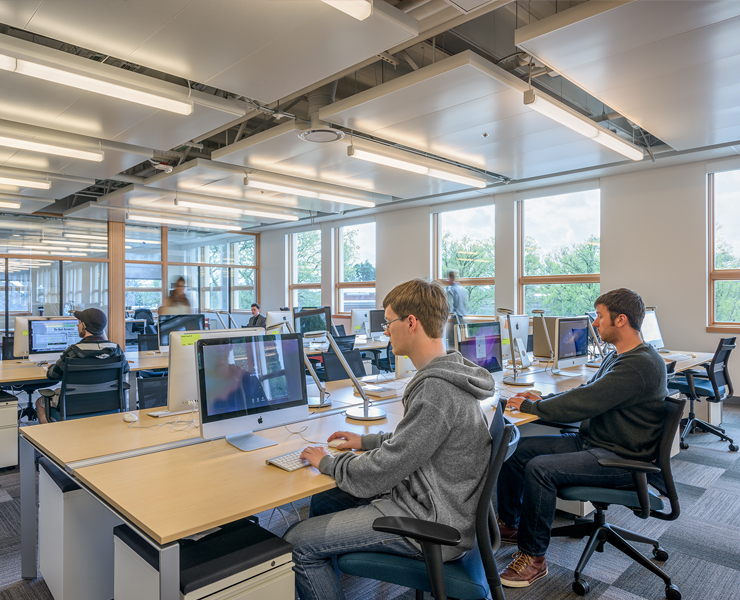 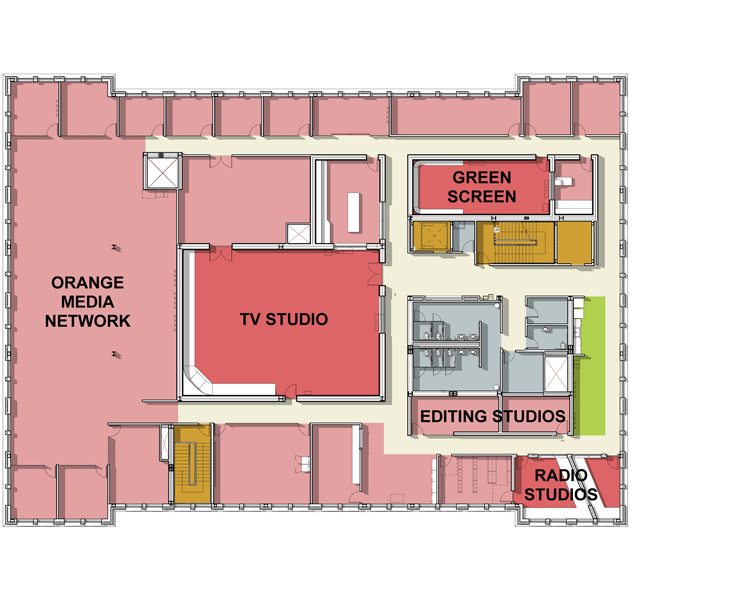 The entire fourth floor is designed around the concept of convergent media, bringing all of Student Media including TV and radio studios, together around a large, open, highly flexible space. 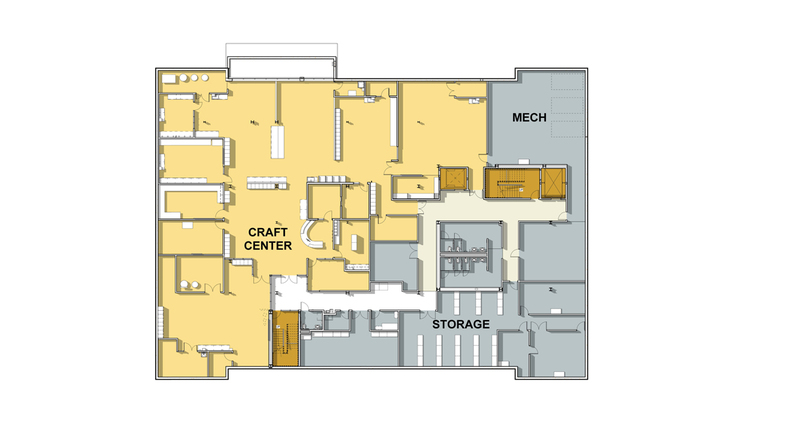 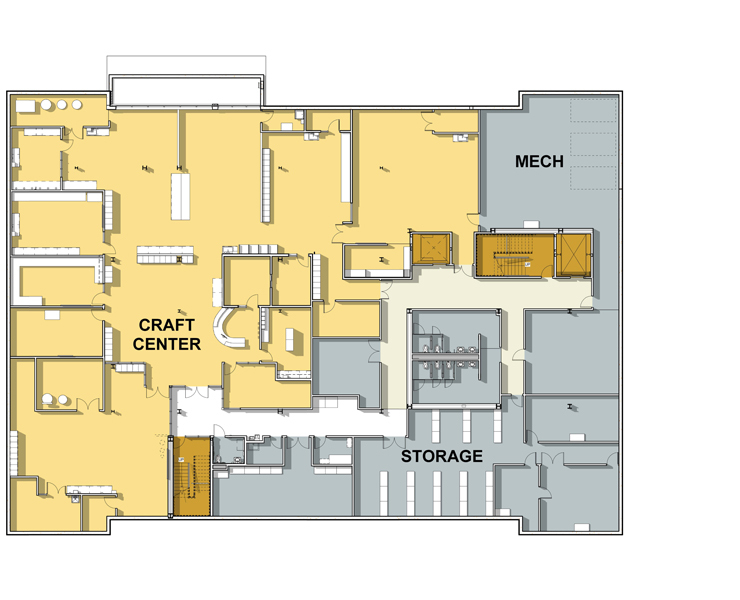 The basement features the campus Craft Center comprised of studios for ceramics, jewelry and metal work, black & white and digital photography, silk screening glass, flame-working, and woodworking. 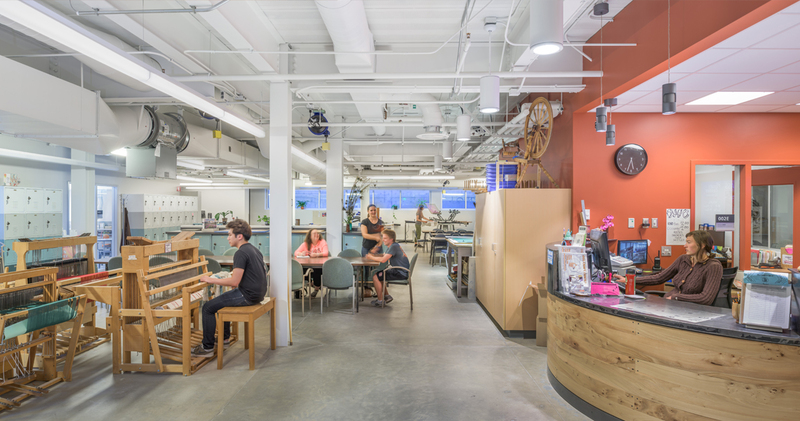 The design team utilized an integrated design process that included student involvement, a CMGC team involved from schematic design, and regular design team and user group meetings. 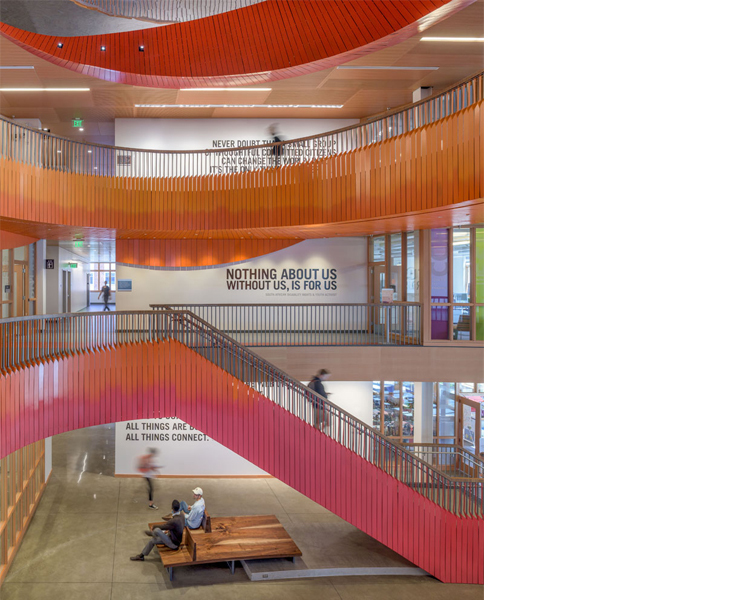 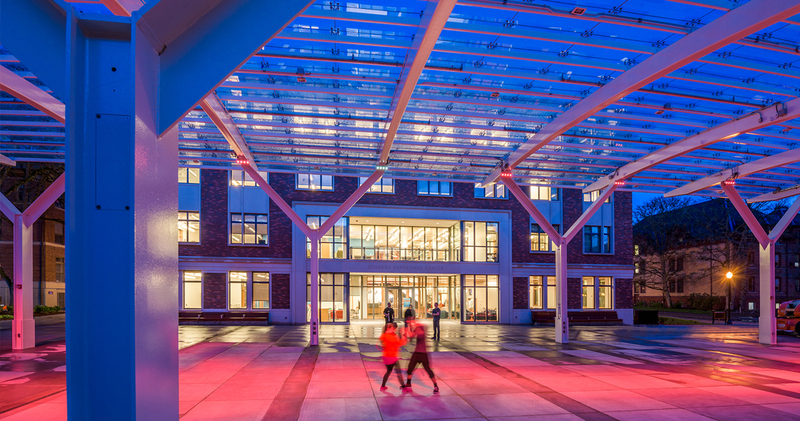 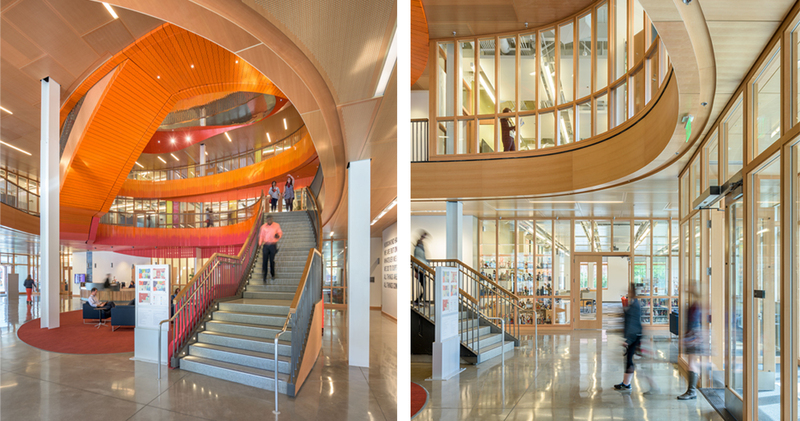 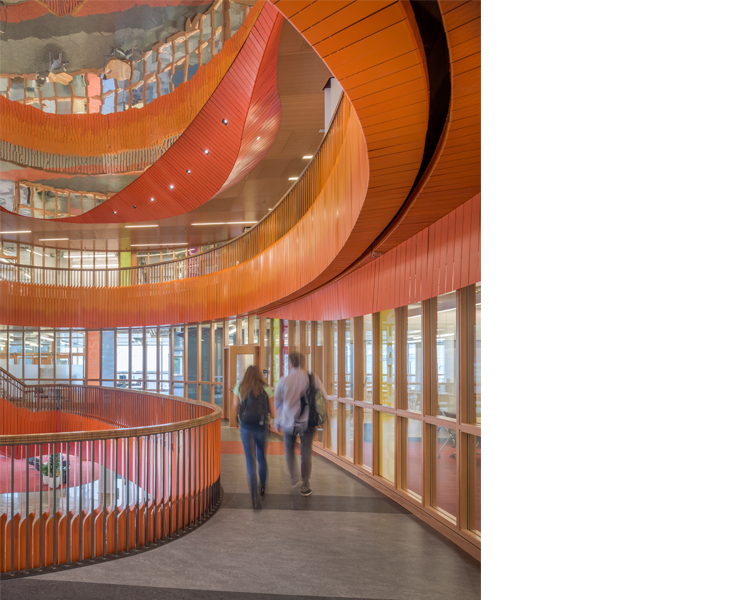 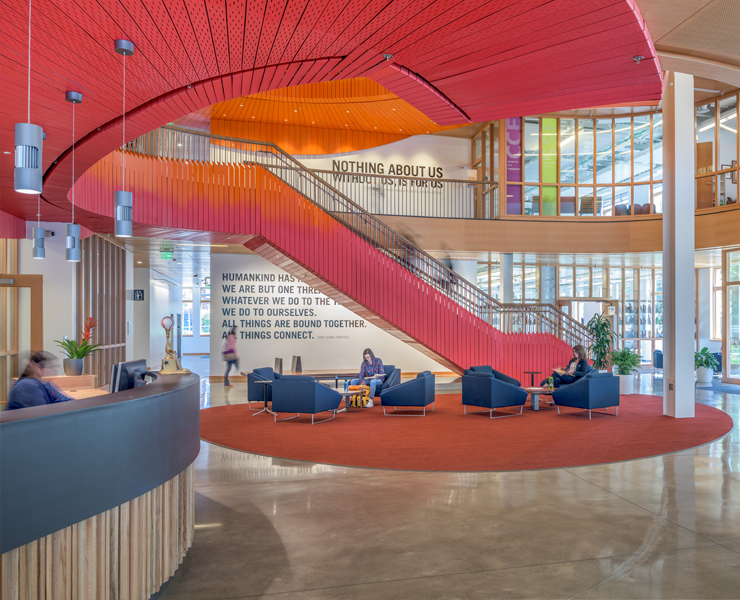 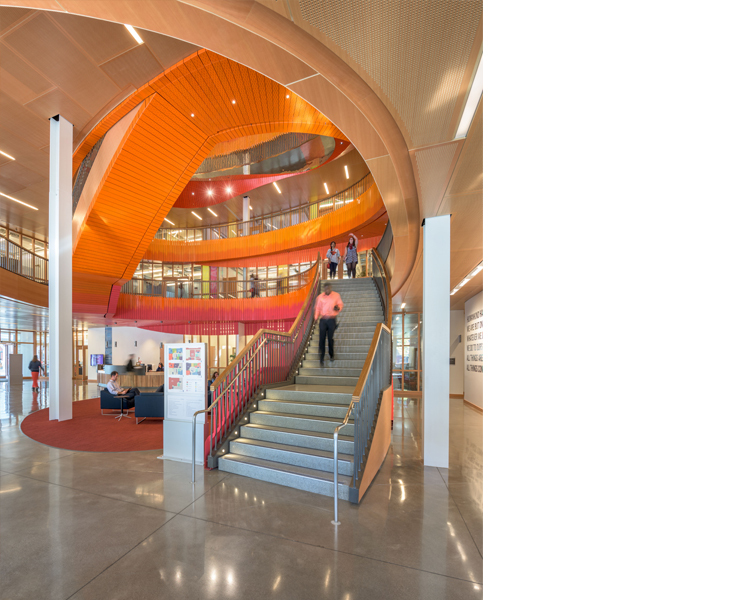 The driving sustainability principle for the building is utilizing the building as a teaching tool with the goal to outwardly demonstrate integrated sustainable systems in an inclusive manner. 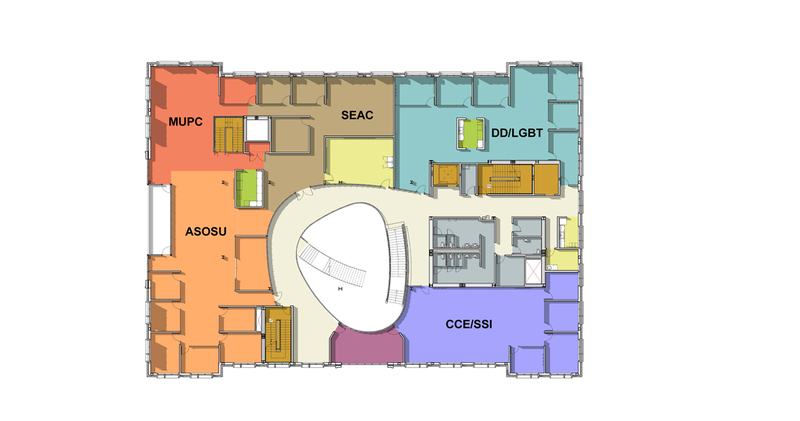 This includes interpretive graphics throughout and a digital building dashboard that graphically displays real time building energy and water statistics. 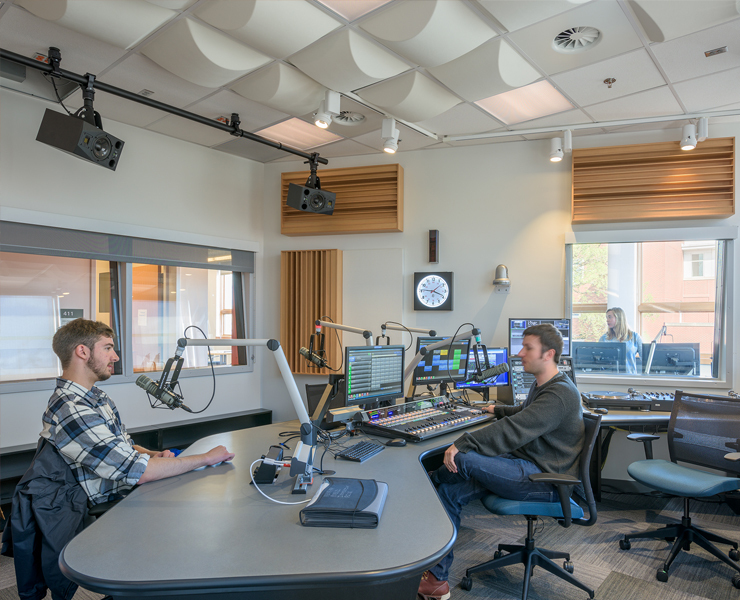 Watch a student made video of what the MU crane saw during construction, here. 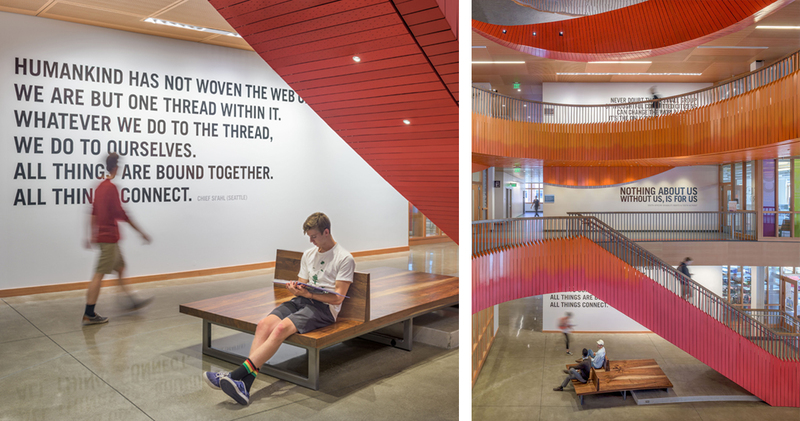 Art Major, Alice Marshall, and the Design Studio videographer, Patricia Djuhadi, created a three minute explanation of the art work designed for the SEC. 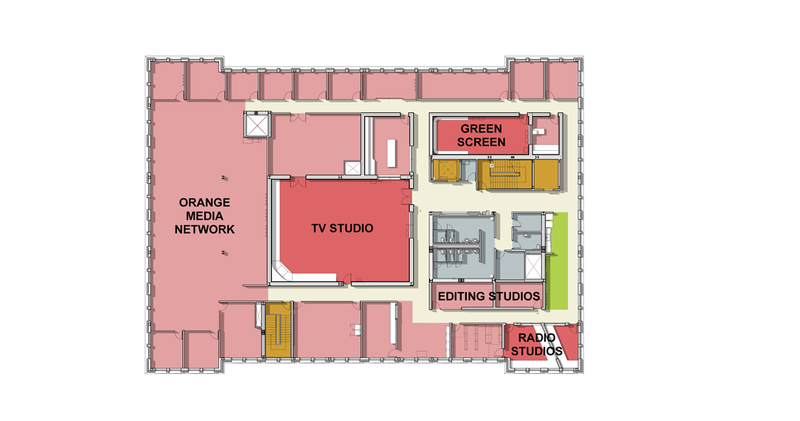 Watch it, here.